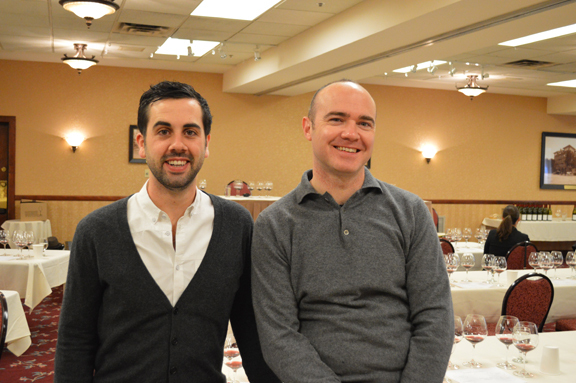 Above: Restaurateurs and leading sommeliers Grant Reynolds (left) and Robert Bohr at this year’s festival. His list at Charlie Bird, which he co-authors with another one of the city’s celebrity sommeliers, Grant Reynolds, is “a window into the New York wine zeitgeist,” she wrote. I caught up with Robert at the festival last month and we chatted about what it means to be a sommelier today and why he comes to the festival every year to participate and pour. But the most important element is service, he told me. When I asked him about why so many celebrities seem to flock to his restaurants, he grinned. “Celebrities like to be treated like regular people and regular people like to be treated like celebrities,” he said. Why does he volunteer each year for the Boulder Burgundy Festival? For questions regarding the festival, events, and sponsorship, please contact Brett Zimmerman by clicking here.